Prime Minister Binyamin Netanyahu thanked France for trying to help Israel reach peace with the PA – but reminded: no talks with with unity gov't. 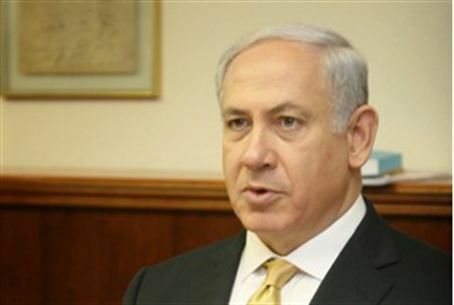 Speaking at the opening of the government's weekly Sunday cabinet meeting, Netanyahu told the ministers, “We will study the proposal and discuss it with our American friends as well,” Netanyahu said. “If the claim that there is a new spirit in Hamas is true, then it can find expression in the release of [IDF soldier] Gilad Shalit. If Abu Mazen (PA Chairman and Fatah leader Mahmoud Abbas) has such good ties with Hamas, he can pressure it to release Gilad. In any case, Hamas is not exempt from meeting the Quartet's conditions,” the Prime Minister added. Shalit was abducted from an IDF outpost near the Kerem Shalom crossing with Gaza on June 25, 2006 by operatives from the Gaza-based Hamas, Popular Resistance Committees (PRC) and Al Qaeda-linked Army of Islam terrorist organizations. His condition and whereabouts are still unknown.